During our school holidays, we travelled extensively to all parts of Sri Lanka, making maximum use of my father's first class railway warrant. We flew by then Air Ceylon between Palaly, Ratmalana and China Bay in Trincomalee. Comparing the present to those good old days, there are no words to express my grief. I can see how politicians in Ceylon and then Sri Lanka have become a dominant power within the last few decades. 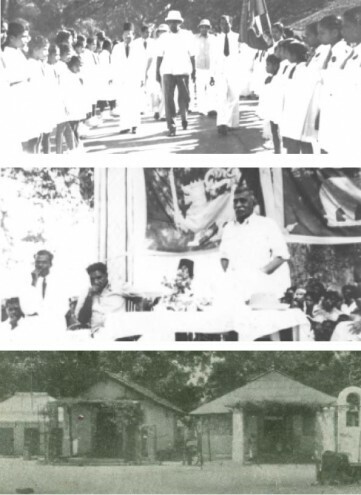 My father, then being an inspector of schools, received the first Prime Minister of Ceylon, when late D. S. Senanayake visited Kalmunai in the Eastern Province, on October 3, 1949. My father took the visiting prime minister on a procession inspecting the guard of honour by students in Kalmunai. Also he interpreted the PM's speech from English to Tamil. Senanayake spoke neither Sinhalese nor Tamil. On that same day my eldest sister was born in the Kalmunai hospital, with the then record breaking weight of 12 pounds. The Prime Minister personally visited the hospital to see the new born baby and jokingly said to my mother "for a father with such a physique, 12 pounds of baby is not a big record." My mother still relates this story. We have travelled from Colombo to Matara by train and then by bus to Kataragama. Also to up-country, Trincomalee, Batticaloa, Chilaw, Anuradhapura, Polonnaruwa, Mannar and the whole of Jaffna peninsula, including the islands. What surprises me from what we have seen and read is how little from the past exists now. For instance, we went to Kataragama in the '60s, '70s and lastly in 1987 — there is increasing evidence of a gradual write-off of a culture and religion. We saw this when we visited last in 2004, up-country and other parts that we had seen in the '60s. Trincomalee and Batticaloa have the same pathetic stories. What does this mean and how have these places changed? In the world, places change with modern buildings, parks, industrialisation etc. But what we have seen in the above-mentioned areas has nothing to do with modernisation and upgrading standards. In Kataragama, we always stayed at Ramakrishna Mission guest house, well maintained by a Swami — thousands of pilgrims were given lunch and dinner. There were many Saiva (Hindu) temples. Those managing them and the priests were Tamil. During those days Tamil songs were broadcast through loud speakers. In the '60s when we wanted go to 'Sella-Kataragama', we hired two bullock carts for a three mile journey through the jungles. On our way, I still remember, we saw a dead deer. The bullock cart men were Sinhalese but conversed with us in Tamil. Whenever we travelled by car to Kataragama, one of our stops was Kalutara town where we could listen to good Tamil songs at high volume. This was due to the competition among the restaurants in the town. When we went last time to Kataragama, I was so sad to see the status of the temples. The government arbitrarily took over Ramakrishnan Mission in the '70s and now it is converted into a museum. Sad to say, presently there is no trace of Tamil existence of the past in Kataragama area – no more Tamil shops. I remember reading in a newspaper in the '80s, that a man who came on a pilgrimage from India was murdered in a hair dressing salon in Kataragama. In the past, everywhere in up-country, there were Tamil-speaking people, including at the bottom of Adam's Peak (Samanalakanda-Sivanolipatha malai) — it is not the same now. In fact, Buddhists, Hindus and Muslims have claimed, connecting the footprint seen in the mountain (Adam's Peak) to their religious leaders/gods. In Kandy, next to Selva Pillayar (Vinayakar) Temple, there was a home known as 'Tamil Home', where bachelors from Batticaloa, Trincomalee and Jaffna could reside while working in Kandy. This home met a tragic end, attacked by rioters. Since winning the war, the Rajapaksas and their people say we are all Sri Lankan and that there is no place for a specific community or ethnic-group. Everyone has the right to settle anywhere of their choice. If this is genuine, why can't the Tamils be resettled back in Kataragama, up-country, Anuradhapura, Trincomalee and Ampara, Batticaloa and elsewhere where Tamils were living years back? There are five renowned Hindu shrines (Easwarams) that existed for thousands of years in Sri Lanka. Thirukoneswaram (Trincomalee), Muneswaram (Chilaw), Thiruketheswaram (Pallavi-Mannar) and Thondeswaran – (Dondra in Galle also known as Devinuwara and Devundra) was destroyed by the Portuguese, foreign invaders. In its place a Vishnu temple was built according to Buddhist tradition.  The fifth one, Naguleswaram is in Keerimalai in Kankesanthurai, where the colonisation process has just started and other Easwarams are gradually losing their identities. Trincomalee tells another sad story. When we went there in the '60s and late '70s, I didn't see any Sinhalese living in Trincomalee town. Of course we saw a few Sinhalese working in Fort Frederick where the Konneswaram temple is situated. When I went to these areas in 2004, I was in shock! Not only the town, even the agricultural village Thampalagama and other areas, are all populated with Sinhalese. Kanniya (hot-water-geysers) are now Sinhalese villages. All the temples have been destroyed and replaced with Buddhist statues. Tamils lived peacefully in Negombo, Puttalam, Chilaw, Uddappu and other areas. Today what is the Tamil population in these areas? Those days, the Christians, particularly Catholics went on pilgrimage to 'Our Lady of Madhu', especially during festival period. I had been to Madhu during off-festival time, when there is nobody other than laymen and a huge presence of flies and white butterflies. Thiruketheswaram in Pallavi is another place we visited. Tamil people were forcefully vacated from most of those areas. We had a bath at Naguleswaram temple in Keerimalai tank in 1984 taking the risk of being fired at from any direction. Everywhere there are signs of cultural and religious genocide! The President should be open, fair and impartial in his commitment. If he wants to prove his fairness and equal treatment of citizens, he should courageously resettle the Tamils from Kataragama to Kankesanthurai (KKS). This could be a stepping stone for a united Sri Lanka. In conclusion, in '70s Jayewardene and Athulathmudali thought by allowing many of the Tamils to go abroad, militancy would be suppressed. That however proved counter-productive and today the strong Tamil diaspora all over the world is a threat to Rajapaksa and his government. Presently, at least 500,000 – 600,000 Tamils are living in democratic and civilised countries, in which they are accepted as equal citizens with equal political rights. In other words, Sri Lankan politicians may be chasing Tamils from the island, but they have better status and equal rights in foreign countries and the Tamil language, culture and traditions are given better status than in Sri Lanka. This may be counter-productive for Sri Lanka into the future. Today, Rajapaksas' actions may be appreciated by short-sighted people — one day, the future generation from the South may find that the Rajapaksas' were part of the most extreme blunders. Very few academics from the South have written articles with theories and examples of equal treatment of Tamils. But in our experience many politicians — presidents, prime ministers and monarchies have fallen into to the 'laws of motion' of Sir Isaac Newton – "To every action, there is always an equal and opposite reaction" and "everything which goes up has to come down" because of the 'gravity' of earth. Let us wait and see the future of the Rajapaksas and Sri Lanka.